The magnolias, cherry blossoms, mahonia, jasmine, and redbud flourish in our unique NY Chinese Scholar’s Garden. 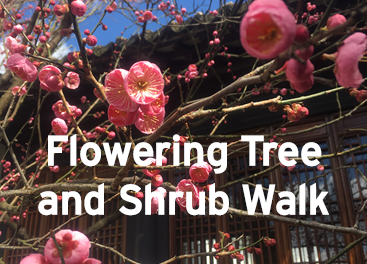 Come see the glory of the NYCSG in the spring and learn about the long-standing horticultural tradition that seeks to find beauty in all seasons. Your tour tickets include admission to the New York Chinese Scholars Garden for the rest of the day after the walk. This event is rain or shine.